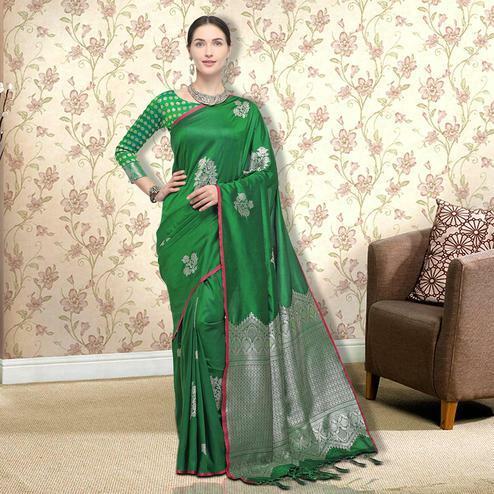 Featuring green color saree designed using silk fabric and highlighted with embroidery work done in the form of leaf motifs at entire body and traditional pattern at lower end of the pallu. 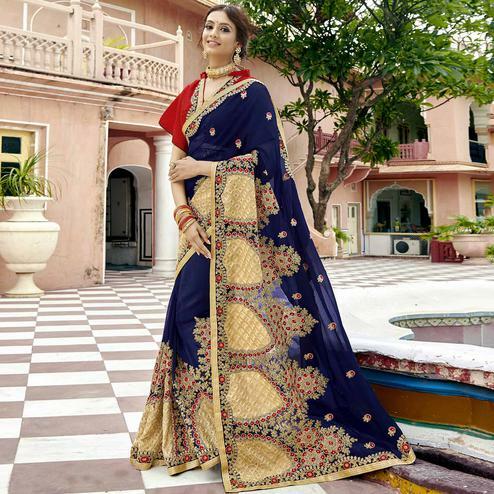 The ethnic patch work lace border within the attire adds to it's ethnic appeal. Available with art silk blouse in red color which is enriched with heavy embroidery work. 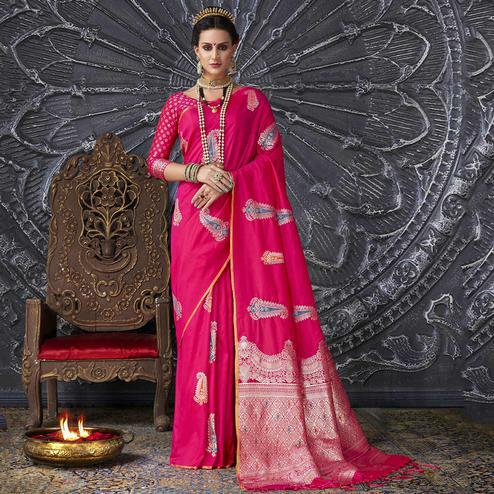 This saree is a perfect choice to choose for functions festivals and occasions.